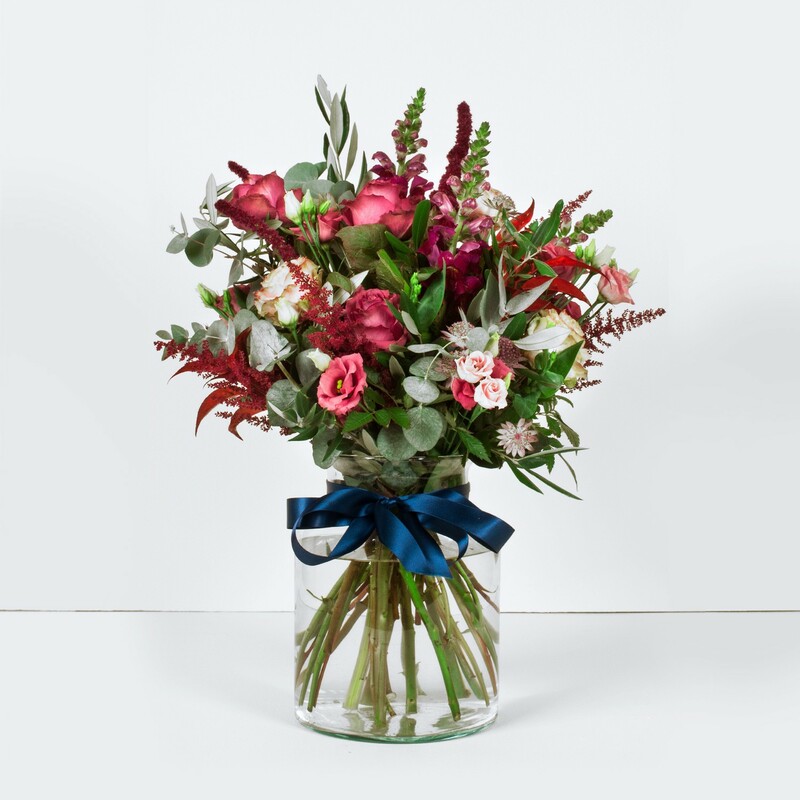 Pretty, cheerful and enchanting – this gorgeous arrangement combines a multitude of pink blooms to magnificent effect, creating a cluster of flowers that is perfect for injecting some vibrant colour into your life. Hot pink roses bring to mind the passion of summer evenings, while blushing lisianthus nestle next to the delicate petals of antirinum. A sense of exotic drama is added courtesy of the star-burst blooms of pastel-pink astrantia, while sprays of magenta astilbe burst free in frothy sprays. The entire collection is then completed with the silver-green leaves of eucalyptus, and displayed in a contemporary glass bell jar tied with a peacock-blue ribbon.